Our Orphan Sponsorship Program is at the heart of what we do. Many children in Africa are orphaned as a result of war, intense poverty, and the HIV virus. Our goal is to provide students with basic needs and equip them with the necessary tools to change their future and become leaders within their communities. 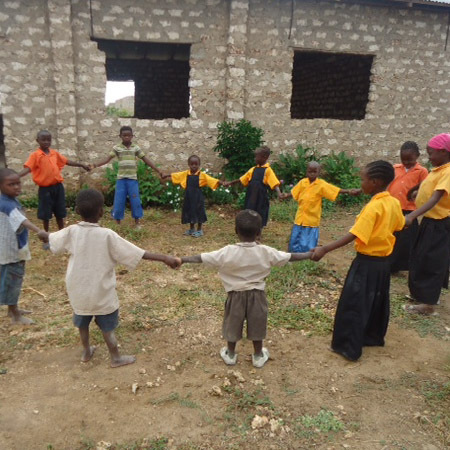 Crio International is meeting needs in over 35 nations and currently sponsors 13 schools in Africa with the goal of funding and supporting a school in each community. Engage in the life of a child and influence the future of one of these amazing children. Personally connect with a child in need and follow their progress. Write letters, send care packages, and discover specific needs and opportunities to care and infuse a life with hope. The average cost to sponsor an elementary student is $30.00 a month and $50.00 a month for a high school student. You can support and directly connect with an individual student while also providing for the needs of an entire school. Your donation will help pay for a child to attend school, room and board, meals, uniform, school supplies, medicine, and more. Donate to our Orphan Sponsorship Program and support the Mombasa and Lumakanda Primary Schools and the Kakamega Orphanage in Kenya. The first day of a new primary school in Mombasa, Kenya. Primary School in Lumakanda, Kenya. You can contribute to Crio Projects by simply shopping online? Shop The Rewards Network and give to the projects you care about, just by shopping like you already do. Track our current projects and charitable events by visiting us at Pure Charity.